What fans have heard so far concerning the inexplicable death of Prince may have only scratched the surface of the star’s life that triggered the alleged controversy which is at work 24/7 across the country. Whenever a celebrity reaches a certain level of stardom, tolerance of rule-breaking decreases, and they become less likely to receive any grace when they act out. The reason being when they go off script, the damage that they have the potential to do in just one post, tabloid article or interview is extensive. Once that destruction is done, it is often as irreparable as a genie that cannot be put back into the bottle. This outlines the conspiracy theory of the death of a Prince. The singer was not a stranger to controversy and was not afraid to speak his truth. Prince seemed to operate on a higher frequency than most. Just a quick review of the singer’s musical history reveals his frequent use of the symbolism of the pineal gland or third eye. In Eastern occultism, this is a valuable symbol used to represent an awakening or enlightening. Opening up one’s pineal gland is a common reference used in the occult or Illuminati. They believe that mankind’s pineal gland used to be pronounced, but as time went by and humanity evolved it went inwards into the mind. When people, such as Prince, would put emphasis on the third eye it was representative of one who understood this concept. Right before the singer’s death, the image for his Twitter page was changed to show a man with a third eye opened. Was this a hidden message? Another idea to consider was the trans-humanism / trans-gender marketing he often showcased. 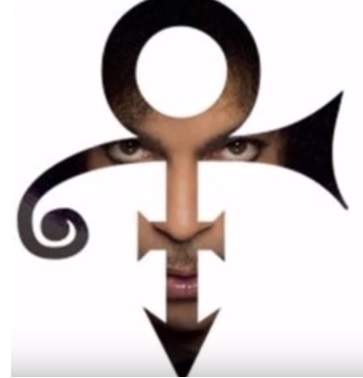 Many fans remember in 1993 Prince changed his name to the symbol. This marking is a combination of the male and female gender symbols and the subliminal sparks of a LGBT push for equality. However, it must be understood that simultaneously the Illuminati was pushing the same type of idea because the belief from this secret society is that humanity was originally created as Androgynous beings and will ultimately return to this “perfected” state. The symbol was also Prince’s method of rebelling against the record label that owned him. When asked in an interview, he said that Warner Brothers took his name, trademarked it and used it as a tool for marketing. Prince described this as a being a pawn for the label to make money. Allegedly, he originally used the duality or androgyny symbol potentially as an Illuminati occult identifier. No one rebelled against the “System” like this revolutionary wonder did. He was especially vocal about intellectual property rights for musicians as well as all artists. As a matter of fact, during one season of his musical career, the singer was so adamant about protecting his musical creations that he pulled all of his videos from YouTube. There was no one in the industry as fierce as he was about spreading the importance of protecting the artist and his property. Prince was a one-man revolution; hence the name of his first band, Prince and the Revolution. He often referred to Warner Brothers as the Illuminati. 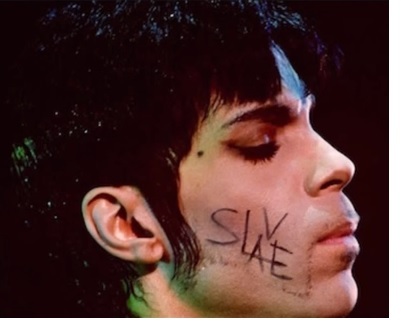 In one performance, the musician rebelled by writing the word “slave” on his face. He was very outspoken about the music industry’s alleged schemes, all the way up until his death. In 2013, Prince performed at the Billboard Awards wearing a ring with a giant eyeball on it. Again, this is the symbol of the all-seeing eye. It represents the esoteric knowledge that the secret society bestows upon initiates. Prince was very familiar with this and displayed it several times on album covers. Many fans remember when the artist appeared on the Tavis Smiley Show and talked about chemtrails, new world order, and global manipulation. Was this a rebellion against the Illuminati? I gotta go back to America. I gotta get ready for the bomb. Osama bin Laden gettin’ ready to bomb! Osama bin Laden gettin’ ready to bomb! America, you’d better watch out. 2001 Hit me! The 57-year-old genius was found dead in an elevator at his Paisley Park studios just days after suffering a medical emergency on board his personal jet. Although some refute the conspiracy theorists, there are many questions over the Purple Rain singer’s untimely death. The Minnesota-born legend, Prince Rogers Nelson, was an advocate for conspiracy theory culture. He predicted the September 11 terrorist attacks three years before the tragedy, spoke out about chemtrails and possibly warned fans of his impending death. Was his death a result of his rebellion against the Illuminati? Did he know too much? Stay tuned for part two of the mystery surrounding the death of the musical genius and hidden theories of conspiracy which may hold hidden truths surrounding Prince’s demise. 5 Responses to "The Death of a Prince and the Hidden Conspiracy (Part One)"
What’s Going down i’m new to this, I stumbled upon this I have discovered It positively useful and it has aided me out loads. I hope to contribute & aid other users like its helped me. Great job. This is more helpful information than I can find so far. Nice post. I used to be checking continuously this blog and I’m impressed! Extremely helpful information specifically the closing part 🙂 I deal with such info much. I used to be looking for this particular information for a long time. Thanks and best of luck. I’m now not certain where you’re getting your info, however great topic. I needs to spend a while finding out much more or figuring out more. Thank you for magnificent info I was in search of this information for my mission. You are on the right track Check out his song FACE DOWN. In which he predicts him being murdered by the record industry.